Hi All! at least, these are the January News!! 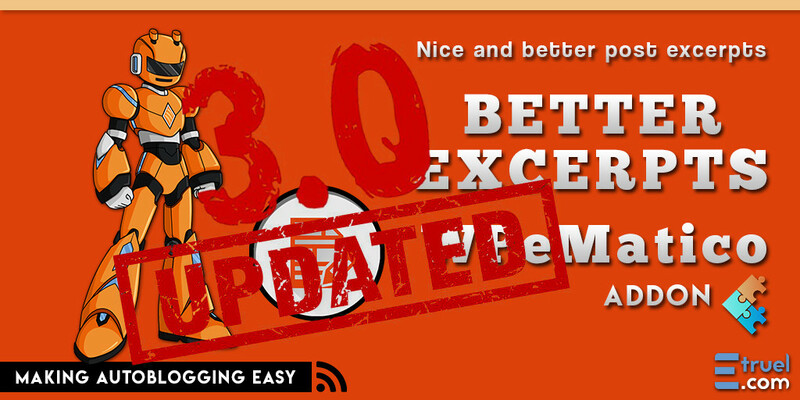 In this 2018, we have excellent news for you. 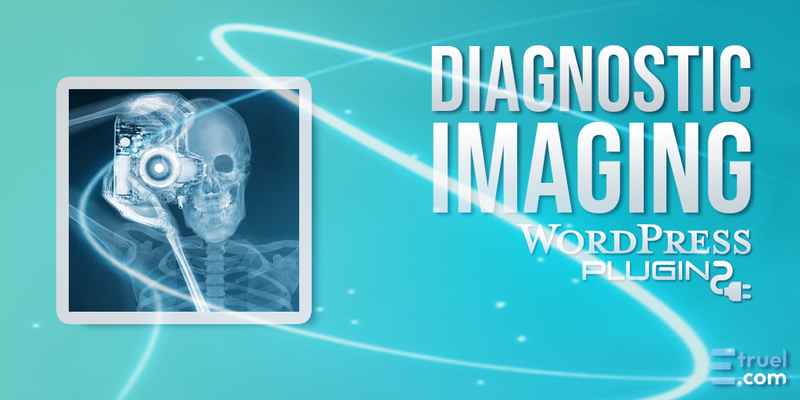 Take a look at the features and functionalities that WPeMatico offers in this new version. 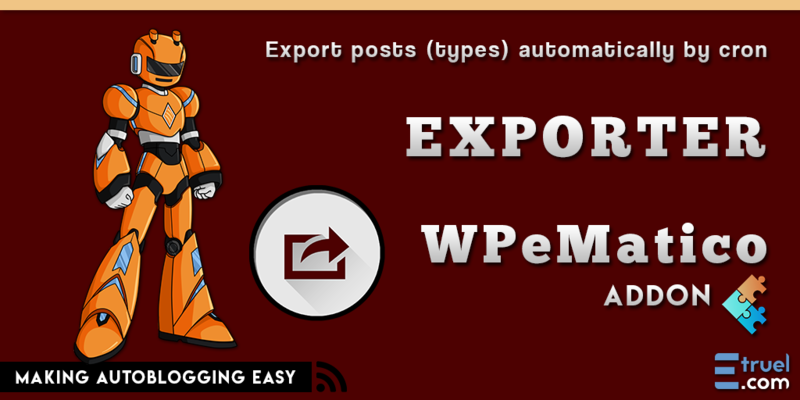 The latest version of our autoblogging plugin. 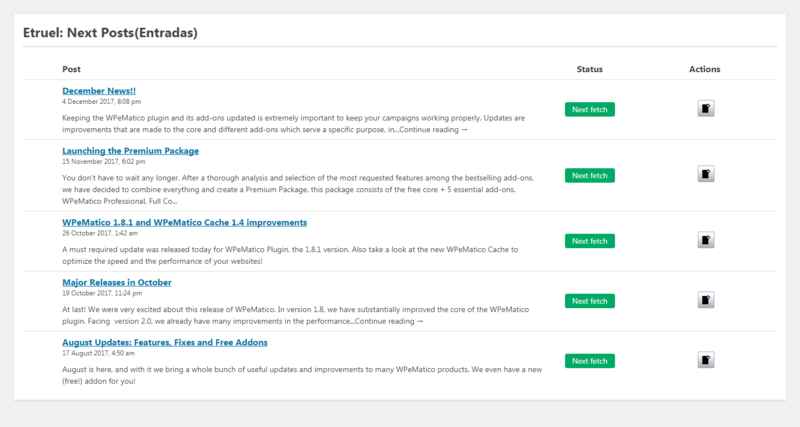 New features that this version has for you are Campaign Preview, which thanks to its compatibility with the Manual Fetching add-on, lets you view the list of the posts the campaign will fetch the next time. We have also added a new function called Convert character encoding to UTF-8, which lets you convert the character encoding of the content and title to UTF-8 if they have a different character encoding. 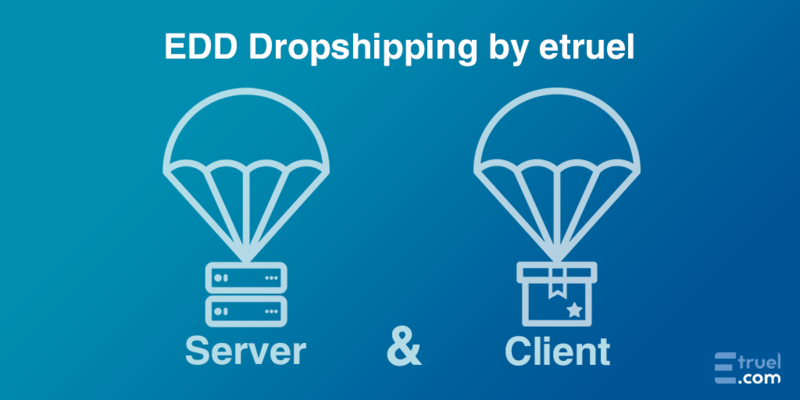 Also, we have tweaked and improved the performance of file loading, and also added compatibility to use HTTP Cookies from the Professional add-on. When click in the “eye” icon, a popup will open to show you the next items to fetch. 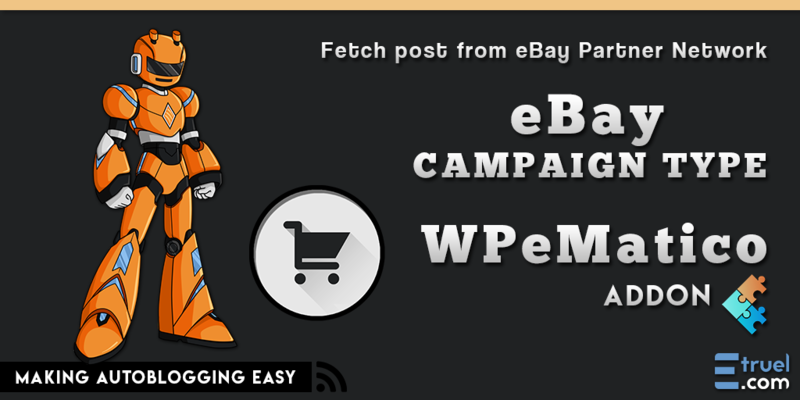 This allow you to see if the campaign has pending items to publish from any feed inside it. 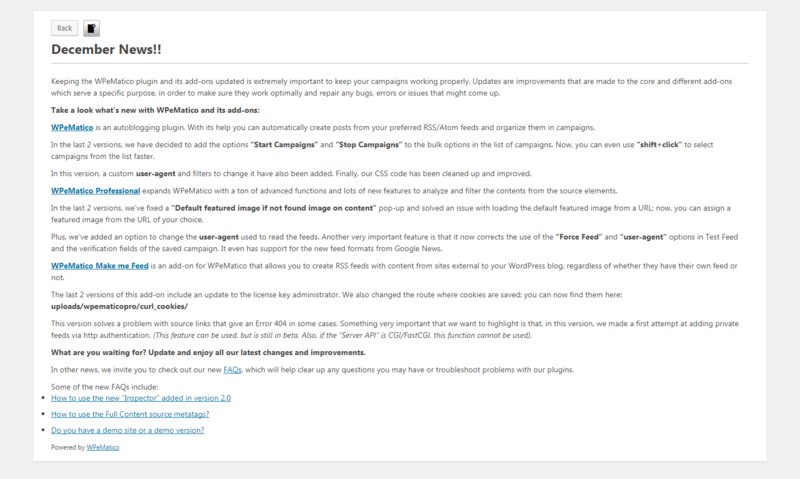 The actions become available with the Manual fetching addon as you can see below. This feature was automatic in the past working by reviewing all contents and re-encoding all, but taking with it a lot of server resources. 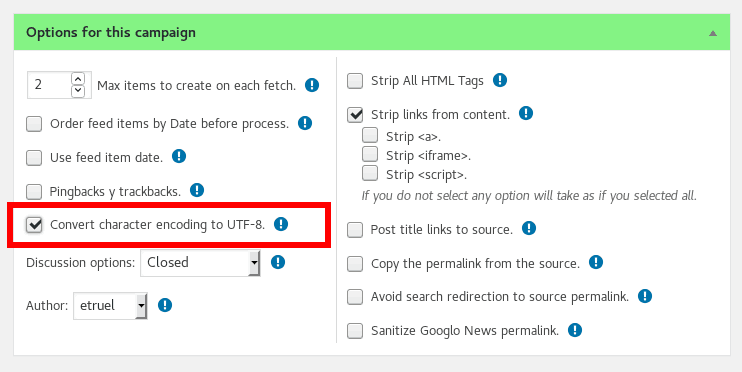 Now we’ve added and option to lets you choose if convert the character encoding of the content and title to UTF-8 if they have a different character encoding. 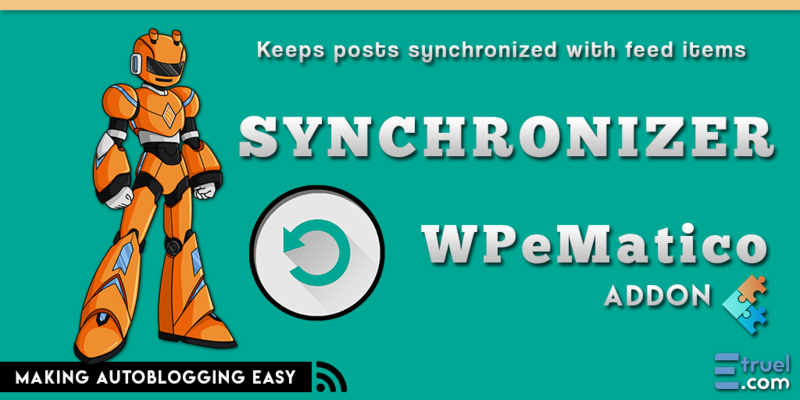 We also invite you to check out our latest add-on, Manual Fetching, which greatly expands the possibilities of WPeMatico since the combination of these add-ons allows you to view a list of posts from the RSS feed of your choice with the new Preview Feed option, where you can check the status of the posts: if they are already published, will be published in the next fetch, or if they have not been published yet. 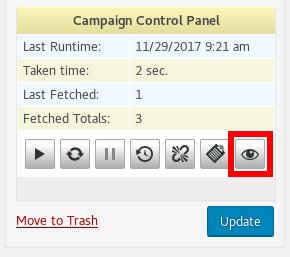 Once the campaign is configured and saved, you can click on the Preview Feed button to start using this incredible function! You can clicking on the title to see the posts individually with the Preview Item feature and find out what content will be extracted. Another very important feature is that, from the Preview Feed, you can choose which post to publish yourself by clicking on the “Fetch Now” button in the “Actions” column. 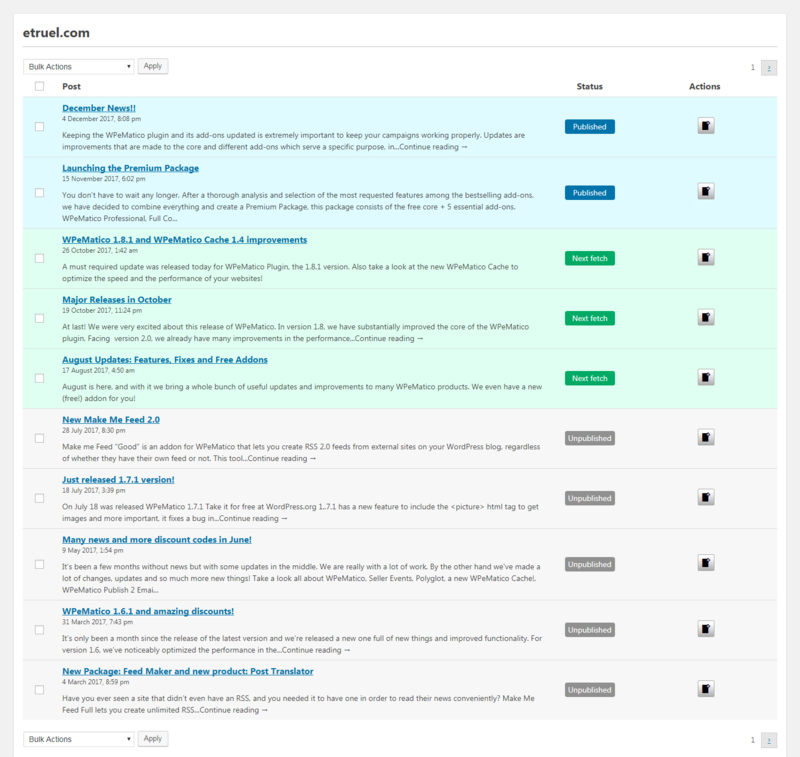 The number of posts that will be published in the next fetch will depend on the option Max items to create on each fetch. In the example below, you can see that we have set this to 3 items. 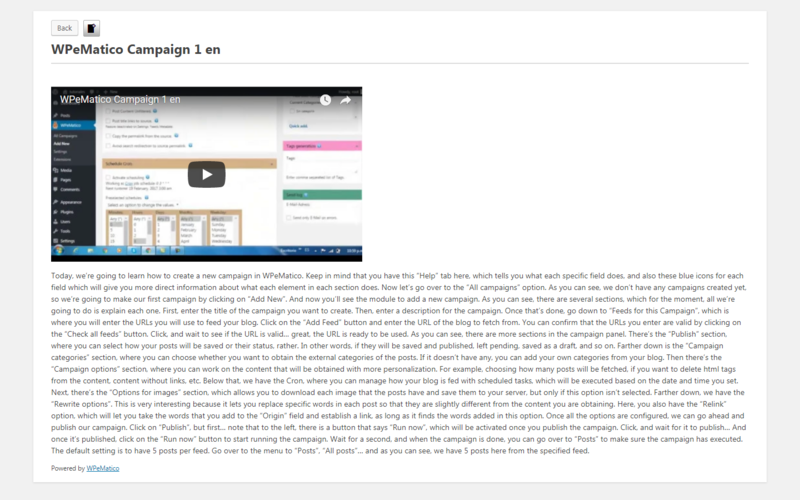 Manual Fetching is also compatible with YouTube Fetcher, and with the Preview Item feature, you can see the content that will be extracted in the post. 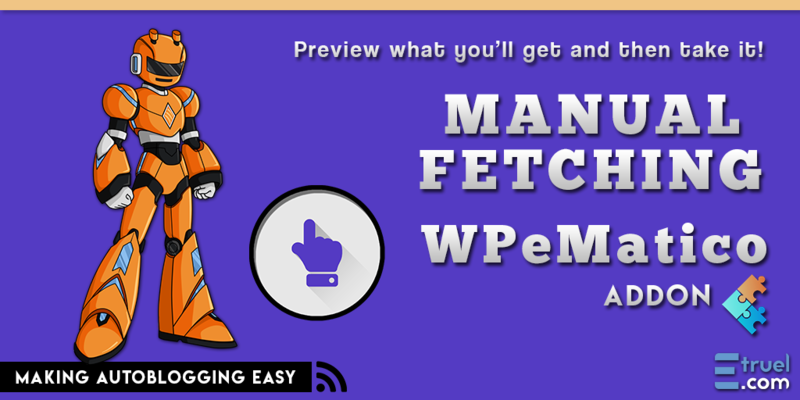 We want to emphasize that Manual Fetching works perfectly together with our other add-ons. They can be combined in order to obtain different results. 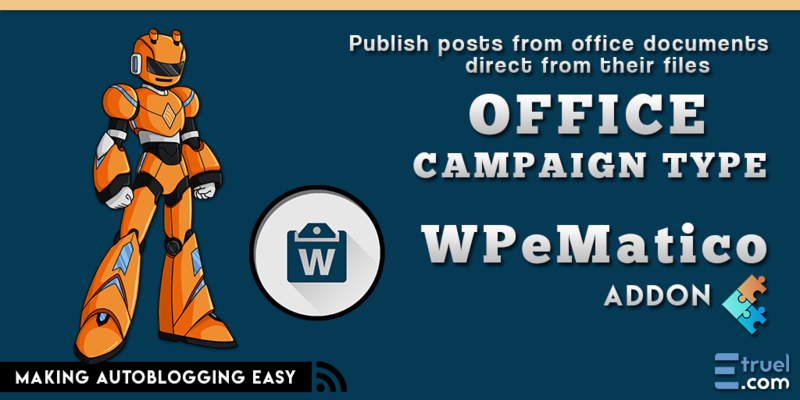 As we mentioned above, the Manual Fetching add-on is compatible with all of our add-ons, giving you more control of which posts will be published on your site, and letting you view their contents. 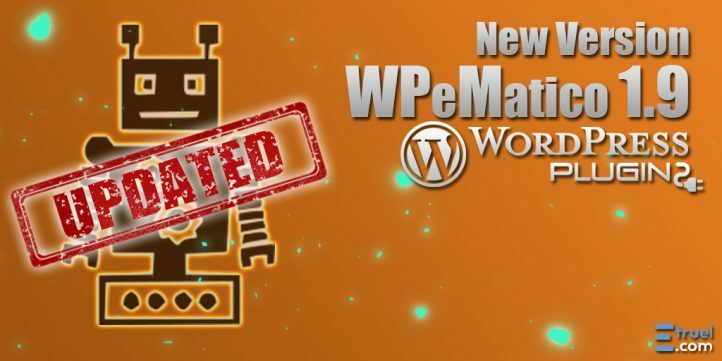 On the other hand, the Professional add-on has improved performance and a new function that will provide you with a better experience when using WPeMatico.